What is new in formZ 8 PRO Webinar ? This 35 minute video will show you the new power and ease of 3D modelling. If you haven’t upgraded your older formZ to formZ 8 PRO do it now at formZ Upgrades online! This video demonstrates the exciting new features of form•Z 8 Pro. The new subdivision modeling tools in form•Z 8 add a whole new dimension in free form organic modeling. These new form creation capabilities expand upon form•Z’s already powerful modeling capabilities with interactive on-screen controls and tools that offer a whole new way to create smooth forms quickly. We will demonstrate how these subdivision models work well with 3D printers and how easily form•Z can convert them to accurate NURBS surfaces. 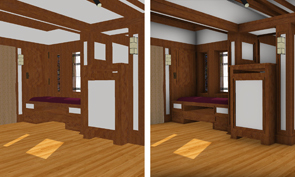 We will also demonstrate how the new real-time ambient occlusion, soft shadows, bump mapping and multi-samplingfeatures aid in visualization as part of the design process. How to convert a facetted object to a subdivision object. How to assign sharpness to subdivision objects, faces, or edges to create creases. How to “grow” new faces and edges. How to bridge and create new faces between existing subdivision faces and edges. How to create complex subdivision objects, such as a chair, beginning with only a cube. What is new in formZ 8 Pro? form•Z 8 introduces subdivision modeling as a new personality to form•Z‘s diverse modeling capabilities. 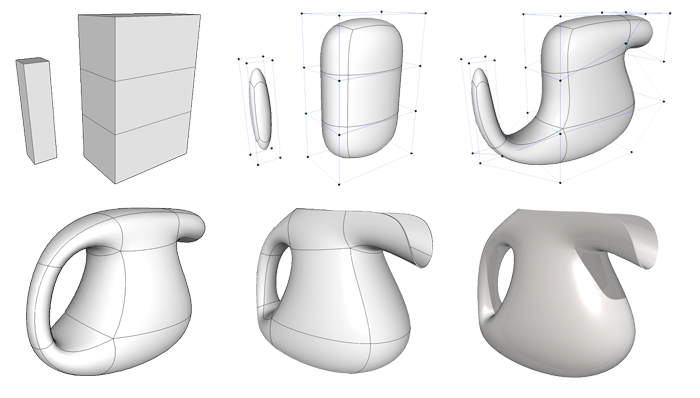 Subdivision modeling is a method for creating unique organic forms. These organic models start from a simple base cage that can be dynamically manipulated and reformed with a new suite of tools that provide operations like grow, stretch, bridge, squeeze and offset. Subdivision models are parametric allowing for continued manipulation as well as dynamic control of the surface resolution. Sketchfab.com is a website that allows you to share your 3D models so others can view and navigate around the model in real time. 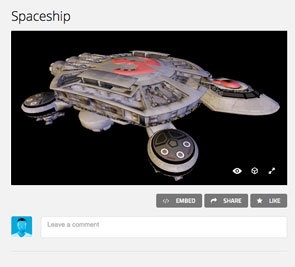 You can publish your models throughSketchfab.com, or you can embed them into your own web pages. There is a new Sketchfab upload option in the Extensions menu that allows for uploads to Sketchfab directly from form•Z. Components can now be viewed by name using the new List view in the Component Manager. The newComponent Information button displays information about a component including how many times the component is placed in the project. The headline 3D modelling software from Autodessys Inc is shipping from today for both Mac OSX (10.7+) and Windows 7 & 8.
formZ 8 beta has received extremely positive feedback and we are pleased to announce that we have formZ Pro 8 shipping in Australia. formZ 8 Pro is the first release in the newly restructured formZ product line. formZ 8 Pro represents the top of the line version of formZ. We have added “Pro” to the name to distinguish it form the other upcoming versions of formZ. In the coming weeks we will release formZ Jr (the replacement for bonzai3d) and formZ Free (the new no barrier entry level version). Among the many new features added in formZ Pro 8 is that the Mac version is now 64bit as has been the case for some time on Windows.